TAIPEI, Taiwan (AP) — Chinese President Xi Jinping sought to push Taiwanese closer to unification with a new year speech mixing carrots and sticks. That hasn't panned out. 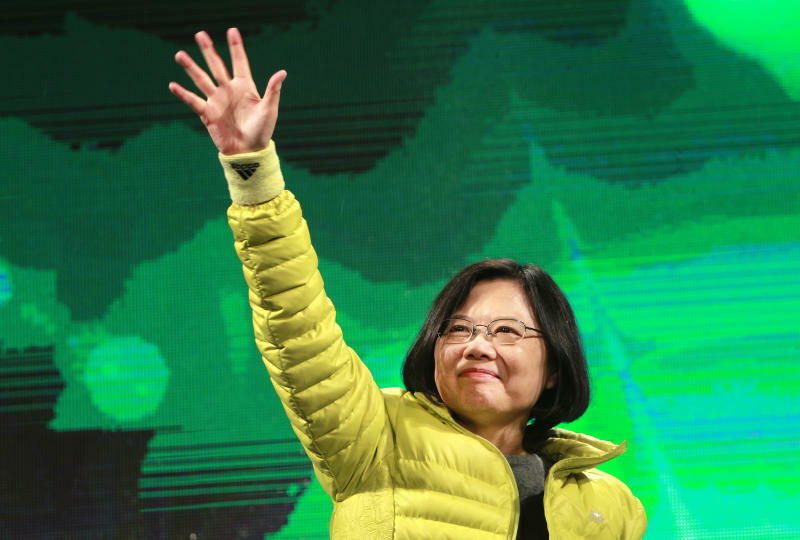 Instead, his independence-leaning Taiwanese counterpart, Tsai Ing-wen, has enjoyed a surge in support following a brutal drubbing of her political party in local elections last year, according to public opinion surveys and interviews. The residents of this self-governing island, with its vibrant and well-established democracy, are as much inclined as ever to resist China's demands despite rising political, economic and military threats from Beijing. Xi's offer to Taiwan "is a total scam," said Kuo Lin-han, 26, a Chinese Culture University student in Taipei. Kuo was referring to China's proposal of a "one country, two systems" arrangement that Xi renewed in his Jan. 2 speech, under which Taiwan would accept Chinese sovereignty while being allowed to retain its own economic and legal systems. That's based on the framework Hong Kong was granted when it reverted to Chinese rule in 1997, an arrangement that has become increasingly frayed as Beijing expands its political influence in the former British colony. Xi's speech was seized on by Tsai, who went on a four-day media blitz in Taipei that appears to have significantly bolstered her support among voters. Separately, the Taiwan government's Mainland Affairs Council found in a Jan. 17 survey of 1,078 people that 75.4 percent oppose "one country, two systems," 74.3 percent dispute the "one China" condition for formal dialogue and 77.2 percent oppose China for holding pledges that it could use force against Taiwan if needed. "The most important thing is that Xi Jinping made the speech on Taiwan and Tsai Ing-wen gave a rare response, which received a high level of support," foundation chairman You Ying-lung said. "The China factor helps her come out of a trough." Younger Taiwanese have a firm sense of local identity that stands in the way of China's idea for unification, said Wu Yi-hsuan, 27, an energy science and engineering doctoral student. "We want to be Taiwanese Taiwan rather than Chinese Taiwan," Wu said, referring to the terminology Beijing often uses for the island that many consider condescending. "Regarding the fact that the People's Republic of China has never ruled Taiwan for a second, this (two systems) policy of China's is more an invasive, aggressive and offensive one." China ruled Taiwan loosely under the former Qing dynasty and the island was made a Japanese colony in 1895. Handed over to Chinese leader Chiang Kai-shek's Nationalists at the end of World War II, it split again from the mainland in 1949 during the civil war with the Communist Party under Mao Zedong. 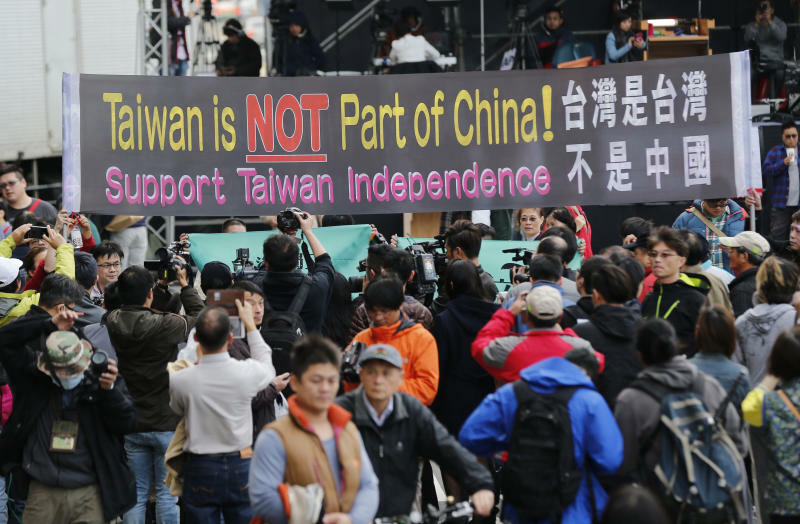 The Communists have regarded Taiwan since then as a breakaway territory that must eventually be brought into the fold. Many commentators say they believe Xi sees that as his historical mission, prompting major increases in China's military budget and renewed pressure on the island, including cutting off contacts with Tsai's government. China's huge economy and global clout may have some effect, but most Taiwanese are unimpressed with how Beijing has followed through on its earlier pledges, said Andrew Yang, secretary-general of the think tank Chinese Council of Advanced Policy Studies. "Hong Kong is totally controlled by mainland China," Yang said. "Even though they have their autonomy, they have limited freedom, and certainly there is no democracy in Hong Kong, as far as Taiwanese are concerned." "I feel that the China government is unpredictable especially after Lee Ming-che was taken away by them," said Catta Chou, 30, a worker in a non-governmental organization, referring to a Taiwanese citizen sentenced in China in 2017 to five years in prison for spreading pro-democracy information. "China is definitely crazy," Chou said. 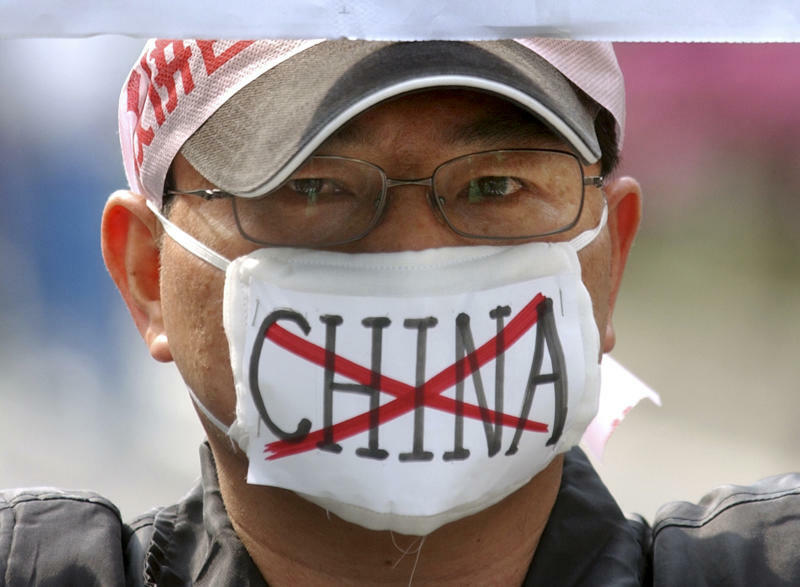 Beijing's leaders "know how unpopular the proposal has been and will be," Sun said. "But before they have a good alternative, this is and will be the biggest deal for them." Voters had complained before the Nov. 24 midterm elections that Tsai had either grown too distant from China to build economic ties or hadn't stood up enough to Beijing's military and diplomatic pressure. Though she won the presidency by a landslide in 2016 — largely due to concerns about China's influence — and her Democratic Progressive Party received its first-ever legislative majority, Taiwanese voters have in the past shown a willingness to try new approaches. Many in the business community are already urging Tsai to climb down from her refusal to meet Beijing's "one China" demand, largely as a way of easing pressure on the island. "'One country, two systems' could bring more people in and out, and this is good," said dried fruit merchant Yu Chen-ching, 65. "Otherwise, no one wants to visit Taiwan, and it's not good for the economy." Economic concerns could cause Tsai's popularity to fade before her party faces the 2020 presidential race, said Alex Chiang, international relations professor at National Chengchi University in Taipei. "Because she's president, she has to be firm on her position toward China, but in reality, Taiwan still has to do business with China," Chiang said.